Posted by M Bharath Bhushan in Articles, Invitations, Telangana People, Telugu (తెలుగు). శుక్రవారం, 23 నవంబరు 2007 సాయంత్రం ఆరున్నర గంటలకు, మాసాబ్ టాంక్ లోని లక్ష్మన్ ఆర్ట్ గాలరి లో, ఒక విచిత్రం జరిగింది. ఇంతవరకు ఛాయా చిత్రకారుడిగా చిరపరిచితమైన భరత్ భూషణ్ గుడిమిల్ల, రంగుల కాన్వాస్ తో కూడిన చిత్రకారుడిగా పరిచయ మయ్యారు. ఈ మార్పు ఆశ్చర్యకరమైనా, ఆహ్వానించతగినది. కొంతకాలం అనారోగ్యం, బయటకు కదల నీయక పోవటం తో, ఆ సమయాన్ని, సృజనాత్మకంగా, చిత్రలేఖనానికి ఉపయోగించారు భరత్ భూషణ్. Posted by M Bharath Bhushan in Articles, Hyderabad, Telangana. I had the good fortune of knowing Professor Waheeduddin Khan both personally and professionally. Professor Khan was a true son of Hyderabad — gentle, genial, graceful and always affectionate. He epitomised the best values that this city, my home, had come to symbolise. It is as a tribute to Wahid sahib’s love for this city, which I wholeheartedly share, that I have chosen to speak on my reading of Hyderabad‘s links with the world. My interest in the link between India’s external relations and the internal change in the country, elaborated in various essays and columns and published as The Strategic Consequences of India’s Economic Performance (2006), was partly triggered by what I saw happening in Andhra Pradesh in the 1990s. Posted by M Bharath Bhushan in Photos, Telangana Festivals, Telangana People. Hyderabad: It was a celebration of a different kind. When the Yadav community gets together at ‘Sadar’, it’s all about harmony and exhibiting the male buffalo, a symbol of their existence. A traditional post-Diwali celebrations, ‘Sadar’ by the Yadavs across the twin cities on Saturday evening was no less than a colourful carnival. The scene came alive as buffaloes decorated beautifully with garlands, paints and designs strutted around with their owners. Most of the buffaloes were forced to stand on their hind legs as a symbol of exhibitionism that doubled up as a signature move while people around them looked awestruck as the beasts performed the stunt. With the ‘teen maar’ beat in the background, people danced around the buffaloes while they were being paraded. “According to the ritual, members of the community exhibit the strongest and finest male buffalo that is selected by the head of the family and is taken out for everyone to see. All the buffaloes are displayed to the head of the community and the best one brings home a prize, honour and respect for the family”, said P. Suresh Kumar Yadav, a participant from Kacheguda. 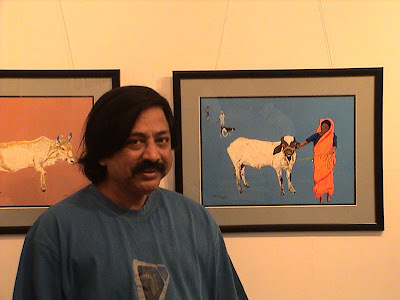 Posted by M Bharath Bhushan in Art, Articles, Culture, Deccan, heritage, Identity, Manjira, Medak, Telangana Places. As a visitor exits out of the city from Hyderabad airport, a large photograph beckons him. 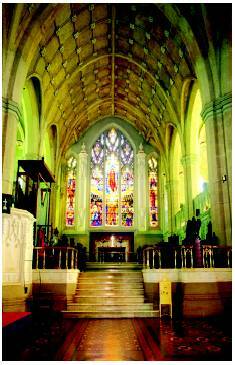 It is a picture of the Medak Church that is put up as part of the ‘Incredible India’ campaign. In a sense, it reflects how the church is being promoted or not being marketed by tourism officials. “Shouldn’t it be in the arrival lounge rather than being in the exit lounge?” asks a visitor. Not surprising then that there are hardly any visitors to the church. On an average, only 25-odd visitors come to the church a day for a dekko. But on Sunday, this could swell to 2,000, with two sermons being conducted in the church. 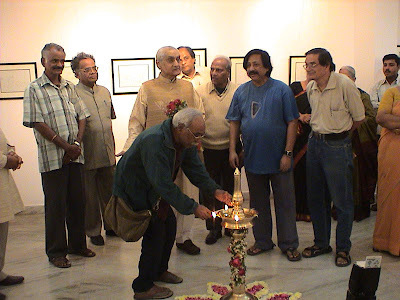 Most visitors are from nearby Zaheerabad, Bidar, Nizamabad, Nalgonda, Warangal and Mahbubnagar district. The church is a mere two-hour drive off National Highway 7 from Hyderabad. Though it is part of the Incredible India campaign launched last year, very little has been done to maintain the church that owes its name to ‘methukulu’ (meaning rice in Telugu), which is why the place is also called Medak. In 1896, when the district was struck by famine, Rev. Charles Walker Posnett, a missionary, evolved the ‘food for work’ programme. If villagers contributed to building the church, they could in turn earn food. That set the ball rolling for this renowned Gothic structure. From 1914 to 1924, the farmers toiled to erect the church and Thomas Edward Harding, the architect, left no stone unturned in building the cathedral. For the floor, tiles from famous potteries were shipped from England. Then, Italian workmen were brought from Bombay to lay them. The tile’s design is an intricate one in six colours — red, brown, black, yellow, chocolate and grey. The marble on the chancel floor and the reredos behind the Holy communion is from Italy. 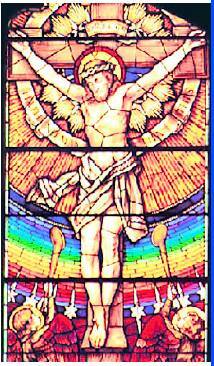 What sets the Church apart are the three stained glass windows, created by Sir Frank O’ Salisbury of London. They constitute ‘the gospel trilogy’ in art — the nativity, the crucifixion and the ascension. Made of solar glass, the windows appear in all their glory when its bright and sunny. All the stained glass windows have inscriptions in English, Hindi and Telugu. The Hindi inscription came later, at the instance of Vijaylakshmi Pandit, sister of Pandit Jawaharlal Nehru, who felt that the national language must find a mention on the stained glass. Posted by M Bharath Bhushan in Appeals, English, In News. On a mission: Jamaluddin and others at the Telangana Martyrs’ Memorial in Hyderabad on Thursday. HYDERABAD: It is an agonising wait for Mohd. Jamaluddin. Another year has passed by and his dream is yet to be realised. Mr. Jamaluddin, president of the Telangana Retired Employees’ Association, and his associates have been visiting the Telangana Martyrs’ Memorial at Gun Park in front of the Legislative Assembly every year on the State Formation Day since 1969, the year of the ‘Jai Telangana’ agitation. Mr. Jamaluddin, accompanied by the association vice-president M.A. Qayyum and general secretary T. Ganesh Rao, spent long hours at the memorial this year too. He said all that was required for statehood for Telangana was political will and regretted that the Governments of the day lacked it. Mr. Jamaluddin’s visit to the place was preceded by a dharna staged by Telangana Rashtra Samiti leaders and activists who observed Thursday as ‘Telangana betrayal day.’ Waving black flags and shouting slogans denouncing the integrated State, they said the development of Telangana was possible only through a separate state.